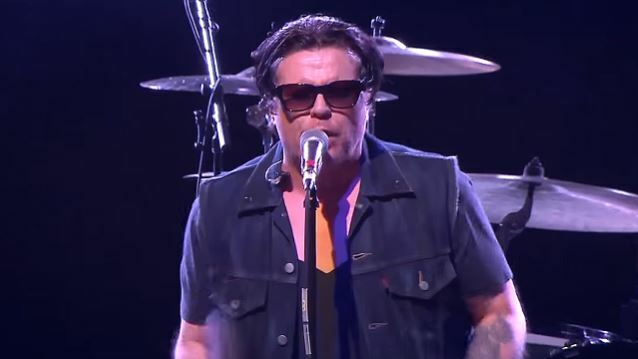 THE CULT has completed work on its tenth album for a February 5, 2016 release. More details will be made available soon. The band played its first show with new bass player Grant Fitzpatrick on October 28 at Stubb's Bar-B-Q in Austin, Texas. Video footage of the performance can be seen below. 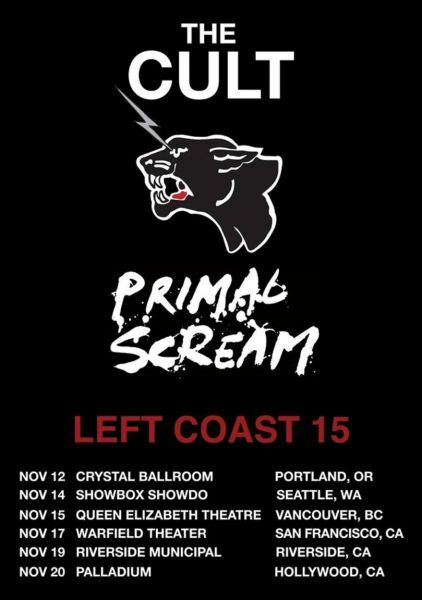 THE CULT is preparing for a run of six dates with spiritual cousins and legendary iconoclasts PRIMAL SCREAM. Kicking off on November 12 at Portland, Oregon's Crystal Ballroom, the trek will see both bands will be celebrating their unified solidarity and their forthcoming albums. THE CULT's last album, "Choice Of Weapon", sold around 11,000 copies in the United States in its first week of release to land at position No. 34 on The Billboard 200 chart. The CD was made available on May 22, 2012 via THE CULT's new label Cooking Vinyl.